If Wilco are Dad rock, then The Autumn Defense are Grandad rock. Comprising John Stirratt and Pat Sansone from Wilco, this is their fifth album together. As The Autumn Defense, they’re unashamedly backward-looking. They cite their influences as The Beatles, naturally, The Kinks of the Village Green-era variety, good choice, and The Beach Boys’ later period, what L.A. (Light Album) and MIU, surely not? Well, here, The Autumn Defense seem to be aiming for a George Harrison vibe, but of the Dark Horse years rather than the Apple variety. While some of their influences were on occasions pretty finickety recorders themselves, The Autumn Defense make some of the most deliberate-sounding music out there. Every note seems considered. Every break seems well planned. Every harmony seems straight from the rule book. The result is that each song is almost perfect. The musicianship is superb. The craft is astounding. The professionalism is sheer. But what an interminably dull listen. There’s no spontaneity. No sign of enjoyment. It’s all sounds like work, work, work. And then there are the lyrics. Maybe this time The Autumn Defense have run out of inspiration. But the words are so vapid, they make you hanker after some that are merely banal. “Well I know with what you’ve written”, they sing on ‘Can’t Love Anyone Else’, “I’m absolutely smitten”. At least no small cats were hurt in the making of that rhyme. But they save the best for the last track, ‘What’s It Take?’. “In the blue blur of Chicago”, they croon, “Where is all our precious cargo?”. Well, it was either that or something to do with Wells Fargo. On this album The Autumn Defense have performed an important social function. They’ve reminded everyone that Wilco are still a fine band and that Jeff Tweedy remains the driving force behind them. What was once a stream is now a river. On earlier albums, Damien Jurado was content with minimal arrangements. It generated some great songs, like ‘Gillian Was A Horse’, but they were always built on just a basic band sound. On Saint Bartlett he teamed up with Richard Swift for the first time. The change was noticeable, but only barely. ‘Cloudy Shoes’ swathed a typical Jurado melody in strings and echo, but little else was different. On Maraqopa the current became stronger. 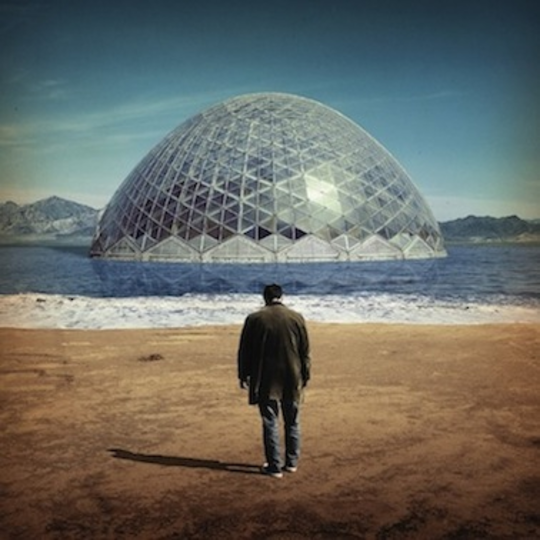 It was still recognisably a Damien Jurado album, but some of the songs began to swirl. Now, three albums in with Richard Swift, the flow is unstoppable. Damien Jurado’s ‘difficult’ 12th album marks a radical departure for him and a revelation for us all. Full of lovely, liquid sounds, Brothers and Sisters of the Eternal Son is the work of an artist with a new-found confidence. ‘Silver Timothy’ is based on a simple latin rhythm, but it’s filled out with the funkiest of bass lines and interspersed with spangly synths. ‘Jericho Road’ covers the vocals in effects, but the melody is still given the space in which to lilt and lift. ‘Return To Maraqopa’ simply bubbles with sounds. ‘Silver Katherine’ and ‘Silver Joy’ hark back to quieter times, featuring just Jurado and an acoustic guitar. But they’re really just setting the scene for the closer, ‘Suns In Our Mind’, which is a Penny Lane-era gem and which includes the best snoring you’ll hear on any track this year. For some time now, Damien Jurado has been on a journey. Musically, that journey has now come to a certain end. With careful and expert guidance, his sound has been reborn. The trick is not to give in to the temptation to go backwards. The Australian Mumfords. Was there ever a less attractive marketing label? You can almost see the waistcoats. Smell the cloth caps. Hear the frenzied percussion. Imagine, then, an album from the band labeled the Australian Mumfords that sounds absolutely nothing like the pommie originals. (Except for the worryingly Mumfordesque track, ‘End Of The Line’). 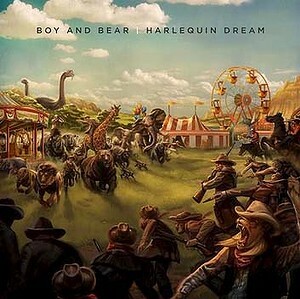 With singer Marcus Mumford Dave Hoskins’ voice always high in the mix, Harlequin Dream is full of straight-up, hook-heavy, FM-friendly songs. It’s far and away the most enjoyable thing you could take out for a spin this January. (Except for ‘End Of The Line’). In a reminder that it’s summer in Australia, the opener, ‘Southern Sun’, is a breezy, sun-kissed gem of a track. Classic song structure. Great melody. What more could you ask for? Well, ‘Old Town Blues’ for one, which follows right on and keeps the tempo right up. ‘Real Estate’ switches electric for acoustic and has one of the most lovely, lilting choruses you’ll have heard for a long time. And ‘Arrow Flight’ brings things to a close with a funky electric piano line and another great refrain. It’s all more 70s-style rock than 00s nu-folk. (Except for ‘End Of The Line’). And this is exactly what the band are aiming for. On ‘Southern Sun’ Hoskins reveals that “As a child I was wonder-eyed at the thought that I might know, A life in the ecstasy of rock’n’roll”. And on ‘Bridges’ it’s a dream come true, because now, as he tells us proudly, but not without a nice note of irony, “I’m in a rock’n’roll band, That makes me more of a man, Didn’t you know?”. We’re pleased for him and it’s good for us too, because we get to hear such a bright and shiny album that it makes for a great escape from the northern hemisphere’s winter gloom. (Except for ‘End Of The Line’). Genius to some. Unlistenable to many. Daniel Johnston is the epitome of lo-fi. 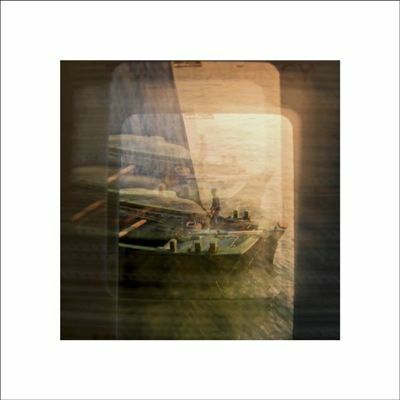 Almost childlike vocals and rudimentary instrumentation. Innocent, yet knowing and mature observation. Listening to a Daniel Johnston album can be like eavesdropping on every day scenes of domestic life with some music thrown in for good measure. And all captured on a battered old cassette deck. Adrian Crowley and James Yorkston are not the first to pay tribute to the songs of Daniel Johnston. Previous efforts, though, have been collections of various artists. Here, the timbre, the pace, the voices are wonderfully coherent. There’s a nod to the lo-fi aesthetic of their subject. The noise of the tape is sometimes audible. Some of the vocals are deliberately unreconstructed. But the beauty of this album is that the seemingly off-the-cuff, often amateurish-sounding originals have been turned into true, real, proper, full-blown songs. This doesn’t mean that they’ve been swamped with musicality. The instrumentation is still relatively sparse. The melodies remain very gentle. But they’ve been given the space to emerge. To exist as undisputed songs rather than what sometimes seem to be throwaway sketches. Nowhere is this seen more effectively than in the title track itself. There’s a charming quality to Daniel Johnston’s version. And compared to many of his other recordings, it’s a relatively well polished performance. Yet by most standards it’s still very rough. Here, James Yorkston sings the lyrics very carefully, touchingly. Behind the vocals, the music builds, yet never overwhelms. The result is memorable, and not least because against this backdrop the beauty of Daniel Johnston’s own words are also allowed to emerge. This is probably a once-off project. But there is space for more. Daniel Johnston may be a frustrating artist for many people, but he has been incredibly prolific. Within that body of work there are more gems. Some of them are already recognised. 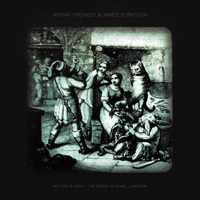 But others would benefit greatly from the way in which Adrian Crowley and James Yorkston could transform them. A Stephen Malkmus album is always chock full of irony. And this one is no exception. Take the title. It suggests an uncontrolled frenzy with plenty of long, FX-heavy guitar jams. In fact, though, this is a really tight album. Sure, there are some wig-like guitar sounds on some of the songs, notably the opener ‘Planetary Motion’. But this is a very restrained Stephen Malkmus. There’s no room here for anything like ‘1% Of One’, ‘No More Shoes’, or ‘Real Emotional Trash’. Instead, this time he just wants to get the hook into your head and move on. Mission accomplished. 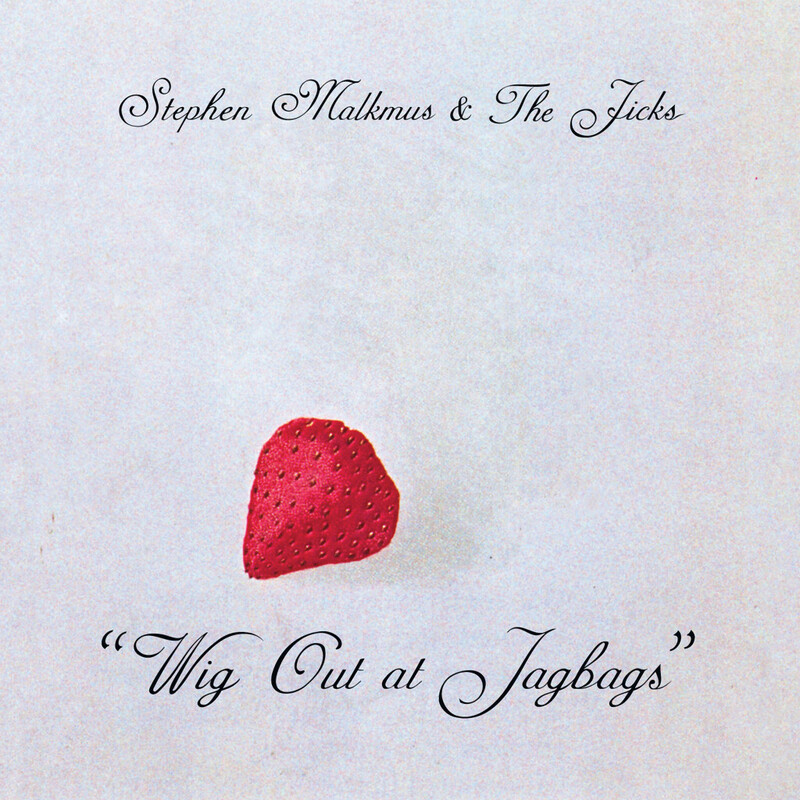 A Stephen Malkmus album is also always jam-packed with fancy word plays. And, again, this one doesn’t disappoint. While there’s no room here for a full-blown, whacked-out story like ‘Hopscotch Willy’, there’s still plenty of space for some truly surreal nuggets. How about: “We lived on Tennyson and venison and The Grateful Dead”? Or perhaps, “Pictionary, Nixon-Kerry, Condoleezza’s Rice, Scattered on the floor”? No. Well, maybe “Shanghaied in Oregon, Cinnamon and Lesbians” is more your thing? Despite the familiar elements, there are some changes. This album contains perhaps his quietest, most laid-back, late-night, wound-down song ever. Complete with gentle trumpets and soothing synths, ‘J Smoov’ will have die-hard Pavement fans turning in their bedsits. There’s also a more upbeat brassy sound to ‘Chartjunk’. It’s a moot point as to whether it works. It’s not in-your-face brass, but it’s certainly an acquired taste. Generally, though, the whole thing is reassuringly Malkmusesque. So, when he channels a punk spirit on ‘Rumble At The Rainbo’, his tongue is firmly in his cheek. “Come slam dancin’ with some ancient dudes”, he sings, “We are returnin’, returnin’ to our roots, No new material just cowboy boots”. Well, this is Stephen Malkmus. So, those boots were made for talking. And that’s just what he’ll do.